Welcome to our exchange students from the UK and Australia! In Grade 9, Fiona is hosting Naima, and Claire is hosting Ikpreet. Naima and Ikpreet are from King Edward High School for Girls in Birmingham, England. In Grade 10, Christina is hosting Mattie, and Nicole is hosting Izzie. Mattie and Izzie are from Seymour College in Glen Osmond, Australia. You will notice that they blend right in with a school uniform that is quite similar to ours! These girls will be spending 4 weeks at YHS, fully participating in classes, clubs and activities. 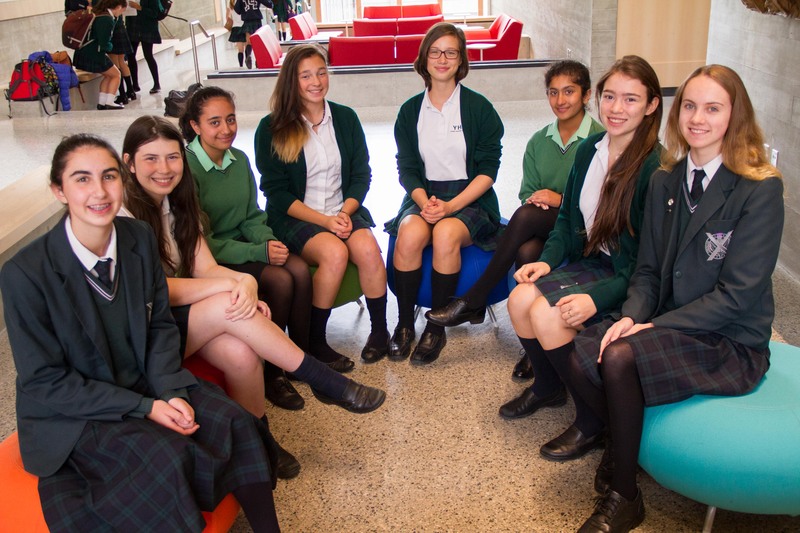 Pictured L-R, exchange students with their hosts: Izzie, Nicole, Ikpreet, Claire, Fiona, Naima, Christina and Mattie.